Thank you for this post! Great information. Thanks, Yogesh! I wasn't able to get libfvde working properly in Arch, but using another Mac worked perfectly. I just did one such case. The acquired E01 image (encrypted) was from a MacBook with Yosemite (10.10) and the virtual machine i used under VMWare Workstation 10 on windows 7x64 (Yogesh method n. 2) was with Lion (10.7). The original image was mounted as physical disk with simulated write permission using Arsenal Image Mounter. The unlock of the encrypted volume inside the VM worked and now i've to acquire a readable image, i think to give FTK form Mac a try..
At the time of writing this post, Arsenal Image mounter was not working for me, it has since improved into a vastly mature tool with most bugs ironed out. You can absolutely substitute encase PDE with Arsenal. I haven't encountered that situation yet. Perhaps you could elaborate on the OS version installed and file system used on the target (evidence) disk. I would run some of the commands shown in the blog post on your other Mac (with the target disk connected). Apple is rumored to be coming out with a new file system but that should be later next year. 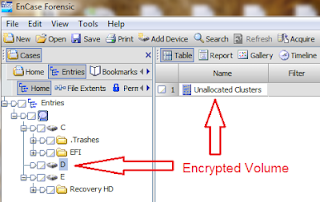 Newer versions of most commercial forensic tools (encase, IEF) should be able to decrypt filevault unless there is some non-standard configuration. Hi Yogesh. I have a question. 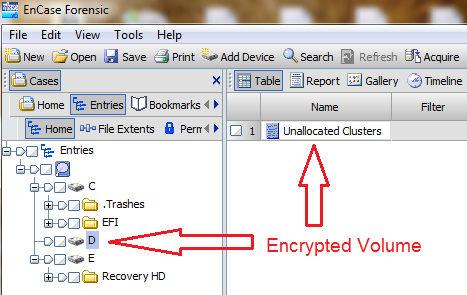 We have the MAC VM running and created an emulated disk(encrypted image) in Encase which showed it was mounted on Physical Device X . When we tried to run the VM with the physical disk (encrypted), it shows the error "The operation on file "\\.\PhysicalDriveX" failed." 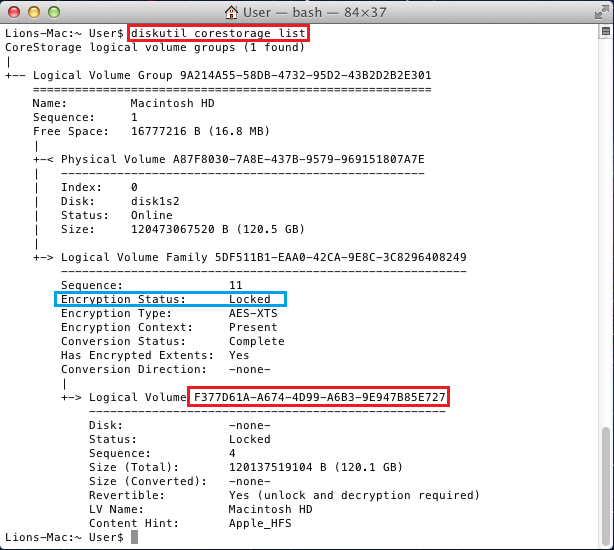 When I continue to open the guest system and check using diskutil list, I can see the apple corestorage. But if I try the diskutil corestorage list, the physical volume status is failed and logical volume group shows initializing. Would you happen to know any solution for this? Thanks. VMware isn't perfect. I would reboot (host and vm) and retry, its worked for me with that kind of problem. 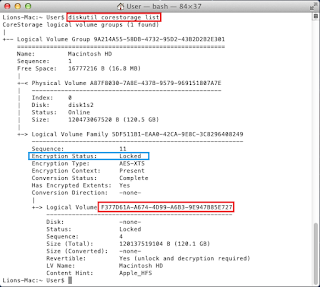 Also, make sure in encase you have the Disk cacheing turned ON.